Dusk time, old ruins by the seashore, and an intimate moment between two lovers. A pen, ink and watercolor sketch. Another moody picture of a soldier coming home after a call of duty. I initially thought of showing him handicapped, but then thought of doing this picture on a more positive, optimistic note. Done using fine point pens and fountain pen ink. Will you be my model? 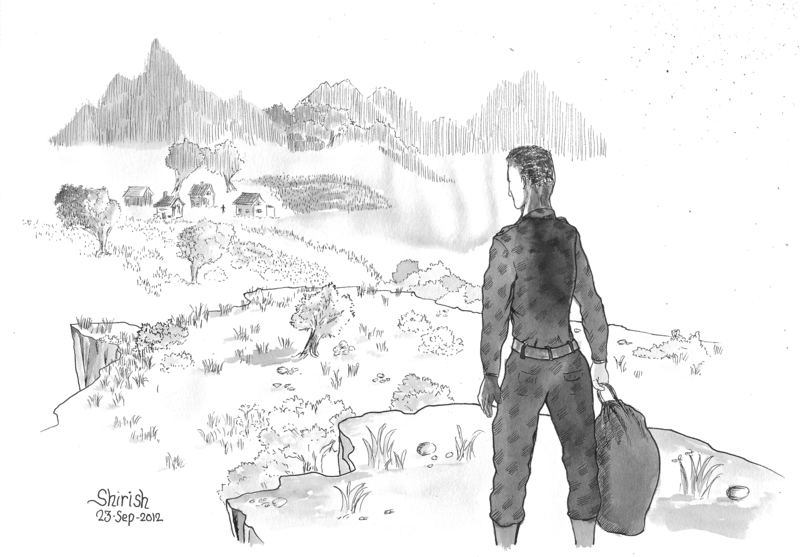 Drew this using fine point pens, brush pen, and ink. 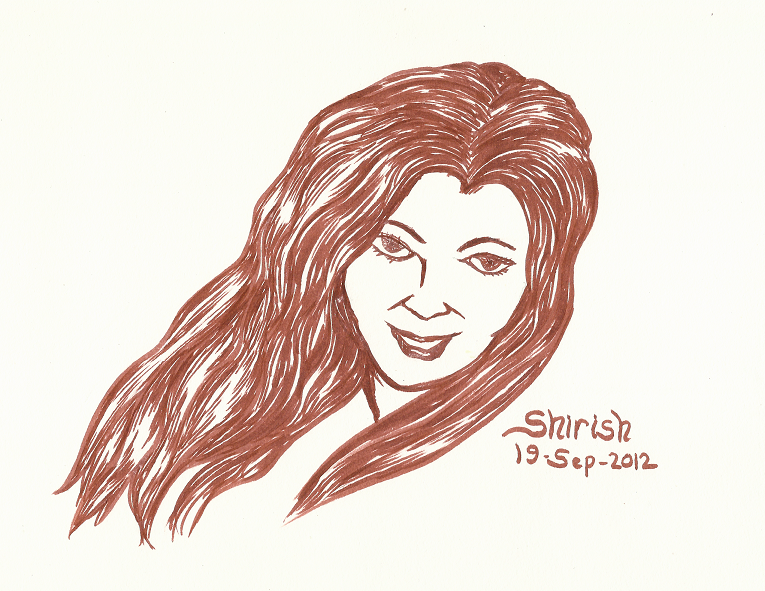 This is a quick 20 mins sketch using the brush pens. 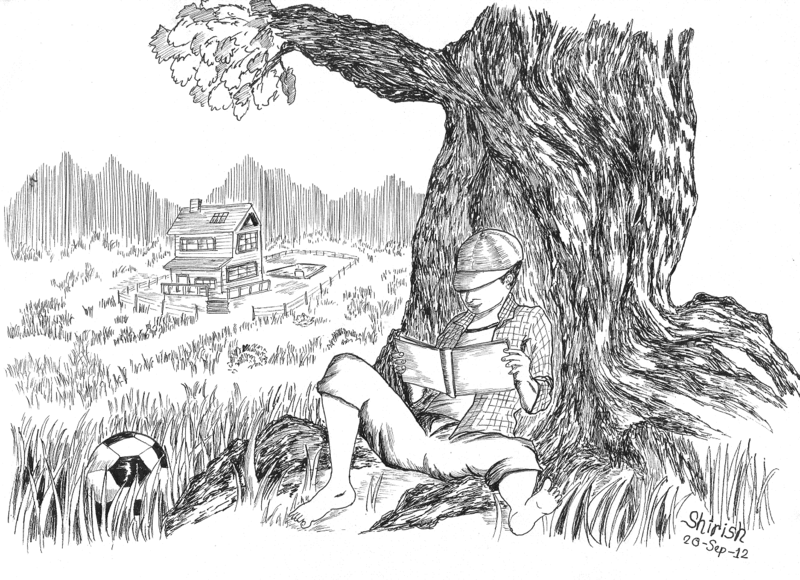 I especially enjoyed doing this sketch of a reader under the tree. The distant house and the grassy land lend this picture a serene look. Inked using the Sakura pigma fine point pens of various points. 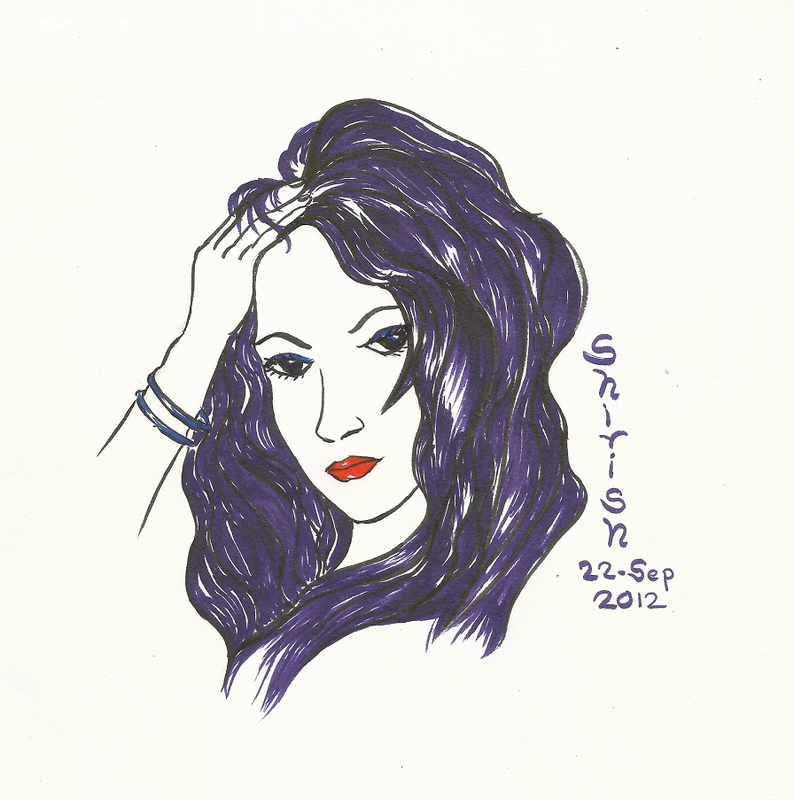 Here, the hair and towel of the lady is painted using brush pens, while rest of the sketch is done using pigma fine point pens. 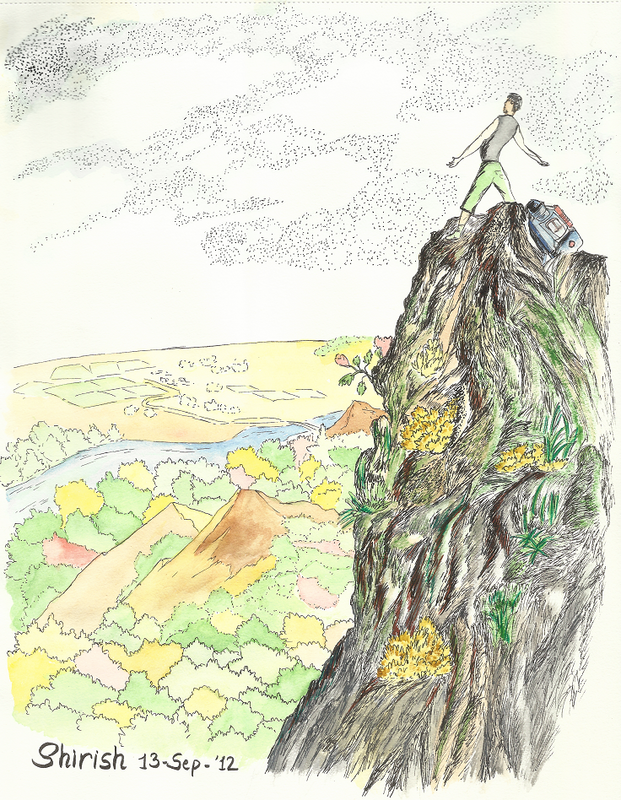 How do you feel when you are at the Top of the World? 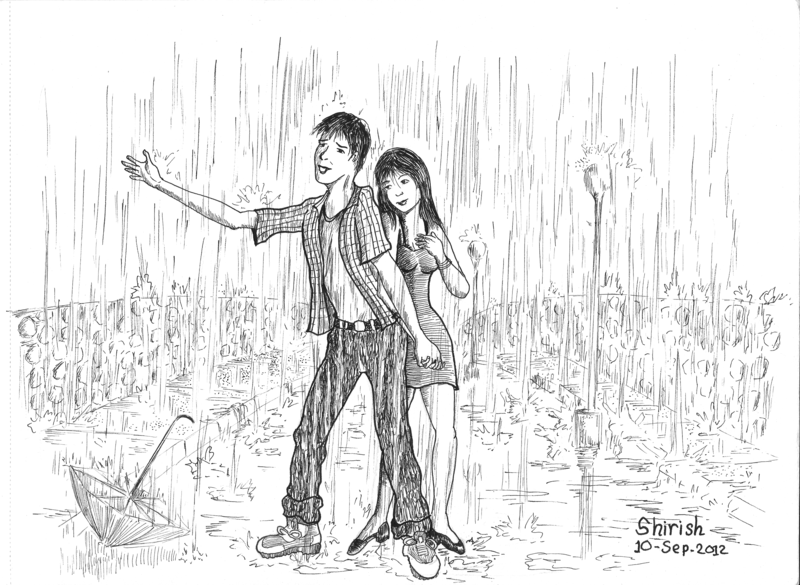 This one is completely from imagination. Drawn with pigment liner pens, then colored with water colors and brush pens. Tapari – colored using my new toys! 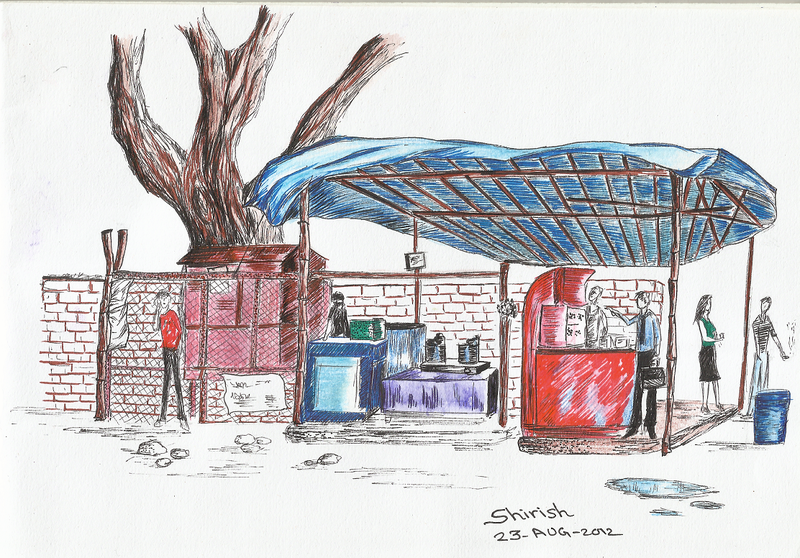 A few days ago, I had drawn this ‘tapari’ (roadside food stall) using pigment liner pens. Yesterday I received my first Brush pen set, and tried on this pic. Colored using watercolor pencils and Sakura Brush pens. Deliberately used a limited color palette to give it an illustration feel. A pen, ink and watercolor painting of a femme fatale from a distant land and a distant time. Would you dare accept her challenge?